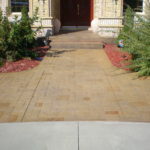 It is perfect for driveways, patios, steps, fire pits, garage floors and more. You can choose traditional grey concrete or jazz things up with the addition of color, texture and curves (see our photo gallery below). Either way, choosing concrete for your home adds a touch of class you can take pride in! 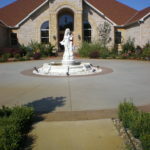 As you can see in the photo gallery, it is very difficult to tell the difference between decorative concrete and a mason laying stone or brick. Although they look similar, a mason laying stone or brick costs significantly more than concrete. 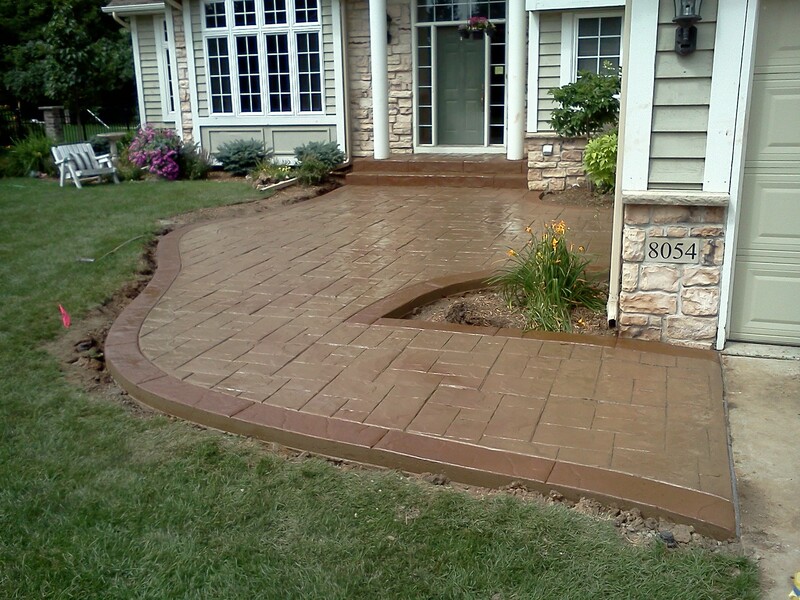 When you choose concrete for your driveway, patio, etc., you are making a wise investment! 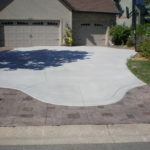 Did you know that concrete driveways in Minnesota last as long as 30 years and requires minimal maintenance? Blacktop (asphalt), on the other hand, requires more maintenance and major repairs or replacement can be required within 10 years of installation! 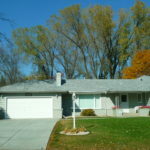 From utilization to aesthetics, concrete is the best investment for your home project. Comparing installation or life cycle costs (concrete versus asphalt) you will clearly see that concrete is the investment you will enjoy for years to come! Did you know that concrete is produced from local natural resources? Sand and gravel from local mines are mixed with cement and water to make the concrete. Aggregate Industries owns and operates aggregate mines responsibly and has high standards for land reclamation (preparing the land for final development). Many reclaimed properties are developed for local use including parks, prairies, or new neighborhoods. Concrete can be made with reclaimed industrial materials like ash from coal plants, glass, and more that otherwise end up in landfills. In fact, concrete mixtures made with recycled material are actually stronger and more durable than traditional material mixtures. In addition, using recycled materials in concrete reduce CO2 emissions. After concretes useful life of 30 years passes – it can be recycled! When you drive by major construction projects, for instance, you will find concrete that has been dug up. This concrete is taken to a crushing plant and can be reused in various constructions applications to replace aggregate (sand, gravel, limestone). Concrete’s lighter color makes it cooler than blacktop. It reflects the sun and heat so even your home stays cooler. Ever try standing on blacktop in your bare feet? Ouch! It soaks in the heat which hovers around your home, causing you to use more air conditioning. 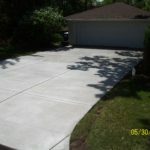 Given all these amazing benefits of concrete, you’d be smart to choose it for your driveways, patios, steps, garage floor and more! Our Super Series products: The concrete mix matters! We’ve all seen concrete that exhibit cracks and or pop outs (see pictures below). Things can go wrong with for contractors or DIYers who are working with plastic (wet) concrete. Many variables can impact your project including the quality of materials in your mix (sand, gravel and cement (powder)), the experience of your contractor, soil conditions, humidity, and temperature just to name a few! Ever bake a cake using the same recipe and yet, sometimes it just doesn’t turn out right? Did you spray the pan? What type of butter and flour did you use? What temperature did you bake at? Did you let “Billy” mix the ingredients? There is a way to avoid the cracks and popouts and having to pay for added repairs: Control what you can control: the concrete mix! Aggregate Industries has developed our superior Super Series concrete mixes for homeowners like you. They are reliable time after time and easy to work with. We also sell compatible sealants to protect your Super Series project in good conditions or bad over the years. 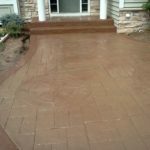 Our Super Series mixes are perfect for driveways, steps, patios, garages, pool decks, and even exterior footings and walls. These products were specifically engineered to withstand the harsh Minnesota climate, too. You’ll love the long-lasting and beautiful finish, which will add value to your home. Ask for Super Series when you find a contractor. Or if you’re a DIYer, ask us about the right Super Series product for you and we’ll answer your projects questions when you place your order. You cannot go wrong using our Super Series mixes! 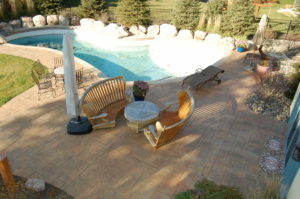 My company has been doing decorative concrete for 22 years in the Twin Cities market. I have used numerous different ready mix companies over that time and I have found the super series mixes work beautifully for texturing and stamping concrete. Its very easy to work with, excellent psi and finishes great no matter if its stamped or broomed. Don’t change a thing! I have really good results on finishing the product, and since I’ve been using SuperEx, I’ve never had any pop-outs or customer call-backs. It’s a really good product. I love it. Ask for our Super Series today!